Cold Patch & Ice Melt | Garden State Highway Products, Inc.
Keeping Walkways and Roads Clear and Safe! 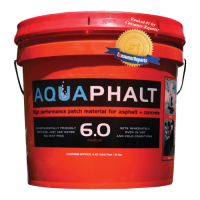 GSHP, Inc.’s High Performance, permanent, pavement repair is a high quality, premixed, 100% asbestos free, asphalt “cold patch” compound which combines a carefully selected aggregate with a special bitumen formula. Its tenacious binding adhesive causes it to remain in the repaired area indefinitely. 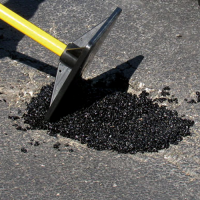 Even when applied to wet and frozen potholes, High Performance Cold Patch will compact with the back of a shovel and the surface may be immediately opened to traffic. Money will be saved in labor costs because workers will not be constantly repairing an area where other types of “cold patch” asphalt mix were used. Permanent repair for asphalt and concrete. 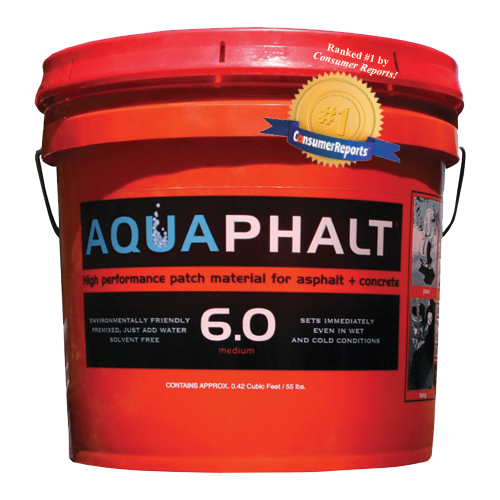 AquaPhalt® is an Eco-friendly patch material for permanent repair for asphalt and concrete. It is commonly used by DOTs, municipalities, government agencies, schools and universities, property management firms, asphalt maintenance contractors, and anyone else who has roadway and parking areas that need to be maintained. 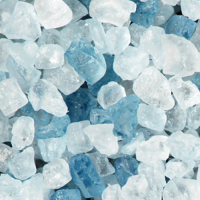 Garden State Highway Products, Inc.’s Premium Ice and Snow Melt attacks ice and snow to minus 5 degrees Fahrenheit. It is fast acting, quickly penetrating through ice and snow. Apply Premium Ice and Snow Melt when precipitation begins to pavements, driveways, streets and walkways. Apply 8 oz. or 1 cup of Premium Ice and Snow Melt per square yard. Amount may vary, however, depending on the depth of the ice and snow. Do not apply directly on grass or vegetation; and keep away from children and pets. Available in 50 lb. (22.7 kg) plastic bags; store opened bags tightly sealed.